With Halloween just around the corner, it’s time for this year’s creepy competition . . . Simply enter the code FANGTASTIC SEARCHES in the ‘Additional information and comments box’ when placing orders online and that’s it! Your name will then be entered into our prize draw and three lucky winners will be drawn at random on Friday 26th October. 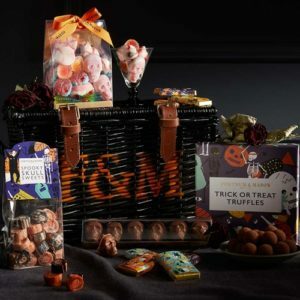 The three winners will each receive a Spooky Hamper full of treats, no tricks. The more codes entered, the greater the chance of winning! This entry was posted in blog, competition, free, gift, Property Market and tagged Competition, Conveyancing, fangtastic, Halloween, Hamper, lucky, Pali, Searches, Spooky, UK. Bookmark the permalink.